On Wednesday(December 13th) Yara Shahidi and Halle & Chloe Bailey attended the premiere of the 'Black-ish' spin-off 'Grown-ish' at Lure Nightclub in LA. 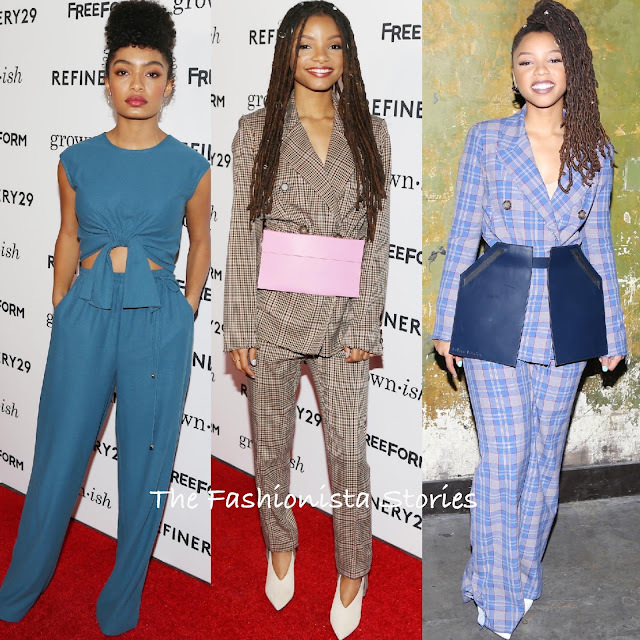 Yara Shahidi looked great in a CLAUDIA LI SPRING 2018 teal ensemble which featured a sleeveless knot detail crop top and the matching wide-leg pants with side pockets which she utilized. A curly up-do and colored lip finished up her great look. Halle Bailey wore a brown plaid TRACY REESE FALL 2017 two-piece which featured a double-breasted blazer and matching stirrups. The fit of the blazer is a little too loose but I like this look. The SOLACE LONDON SPRING 2018 'Sutton' pink envelope bag, the STELLA LUNA 'Eventail' heels and a complimentary beauty look finished up her look. 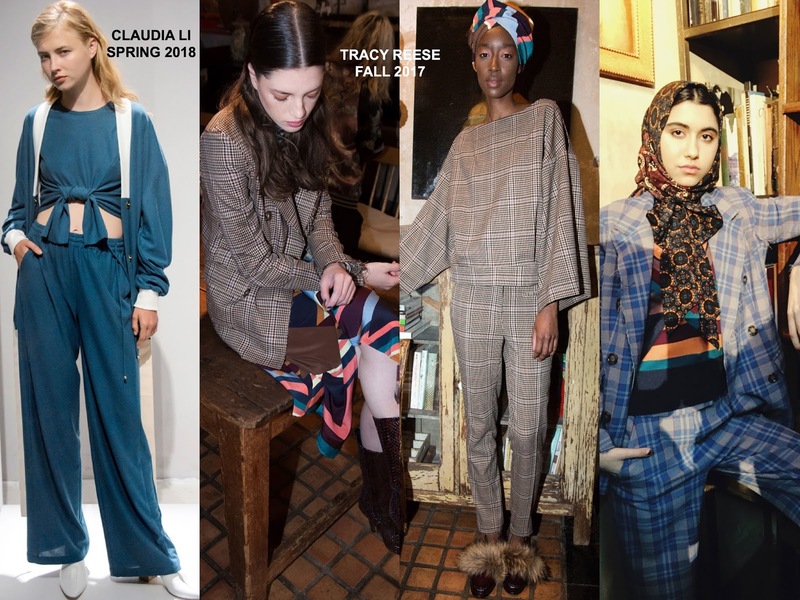 Chloe Bailey also wore a TRACY REESE FALL 2017 plaid two-piece suit. Her blue & pink plaid suit was accessorized with the SOLACE LONDON SPRING 2018 'Kally' navy belt bag and white pumps. A complimentary beauty look finished up her look.